The last developer preview version of Android 6.0 has been released and Google has confirmed that Android M would be Android Marshmallow. While Google hasn’t yet announced the release dates as yet, it should happen sometime soon. 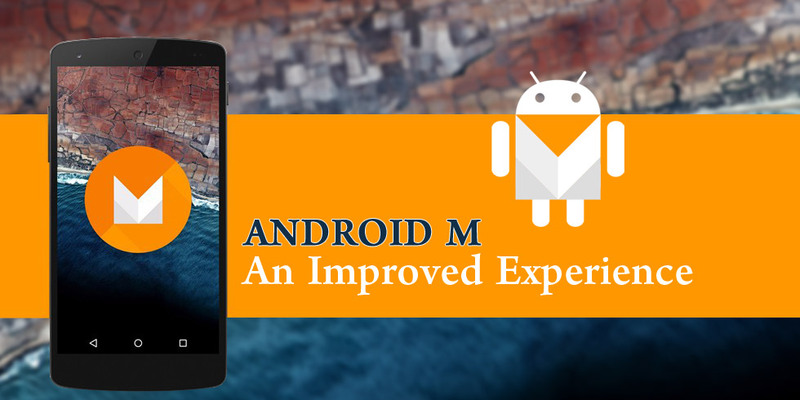 Android M is expected to improve the user experience. At the same time it offers developers many options to explore and get innovative with Android development. Here we take a look at some features that are expected to take your smartphone experience to the next level. Android Pay is nothing but an improvised version of Google Wallet. It consists of all the positives that were there in Google Wallet, and has managed to exclude the defects of the wallet. Google has done away with the pain point of Google Wallet, which was the need to launch the app, and type the pin in order to unlock your credit card. Android Pay will be compatible with phones running on Android KitKat and above and allows you to make payments by simply tapping on the NFC terminal. It would create a virtual account number and you don’t need to share your real account number with the merchant. In the past fingerprint technology had existed on Android phones but it wasn’t standardized. In this new version Google has opened necessary APIs which will allow developers to add fingerprint support without having to use any third-party app. This will also be extended to other features such as Android Pay. Till now, whenever you installed an app from Google Play a list of things that the app would access was shown to you. You could only install the app when you granted access to all these features. In Android M Google has put all the permissions into specific categories such as Camera, Sensor and Location. So, when you are accessing the app, you will need to provide permissions to access certain features in the app. You will also have the option of modifying these permissions with phone settings. Many users would find it annoying to move to web view, as it requires you to open the content in a separate web browser. The Custom Chrome Custom Tabs is one that would reinvent your experience as it will load a chrome tab on top of the app and you won’t need to navigate to any external browser. Not only do you get to stay on the same browser, but also gain support towards auto sign-in, saving passwords, and multi-level security. Irrespective of the improvements, Android users are never happy with battery life! Google has brought in a new feature in Android Marshmallow that will increase your battery life significantly. Doze as it is called recognizes when your device is in rested state and helps conserve power. Don’t worry as this doesn’t stop you from receiving alarms and incoming instant messages. If you want to get apps developed for Android Marshmallow, Semaphore Software would help you create stunning apps. A leading Android app development company, they have developed apps across different niches. Get in touch with them through info@semaphore-software.com and you would be impressed with the possibilities that are on offer.